Could we be seeing a Spice Girls movie sequel? Rumour has it our favourite five-piece are set to launch a follow up film to Spice World: the movie. But is it true? SEE ALL THE PICS OF THE SPICES REUNITING ON THEIR WORLD TOUR HERE! Following the announcement that they’ve got a spicy West End Musical in the pipeline, whispers are that show bosses have already decided it’s going to be a huge hit – so they might want a movie to be released alongside it. In the same way that the Mamma Mia! musical went on to become a box office smash, perhaps they’re hoping that Posh, Baby, Ginger, Sporty and Scary will be able to entice fans back to the cinema once again. 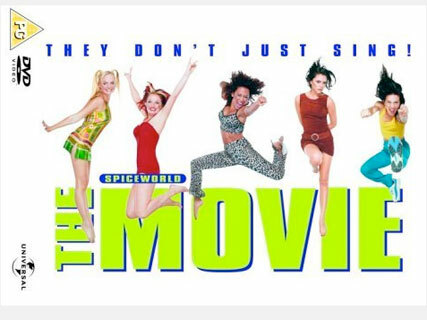 ‘We’re all involved in the new Spice GIrls film, which is being done by Judy Craymer and the Mamma Mia! team ‘ Emma reportedly revealed to the Sunday Mirror. Hmmm… A misunderstanding? Or is somebody trying to throw us off the scent…? ‘We would’ve liked to do another film, after Spice World, but there was an album, then a tour, and then Geri left. So it didn’t happen,’ Emma said. Well whether it’s happening or not, just the thought of it is strangely compelling… No? The Spice Girls musical is set to make its West End debut in November. And we will be there, dancing in the aisles.